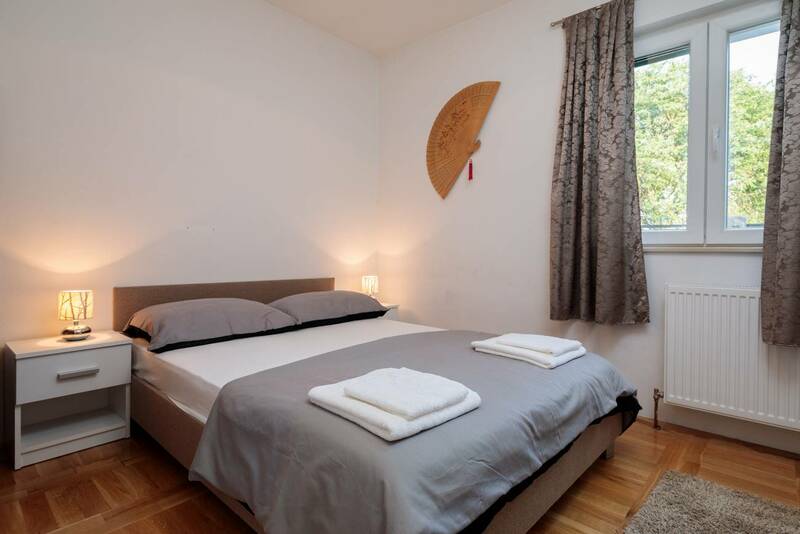 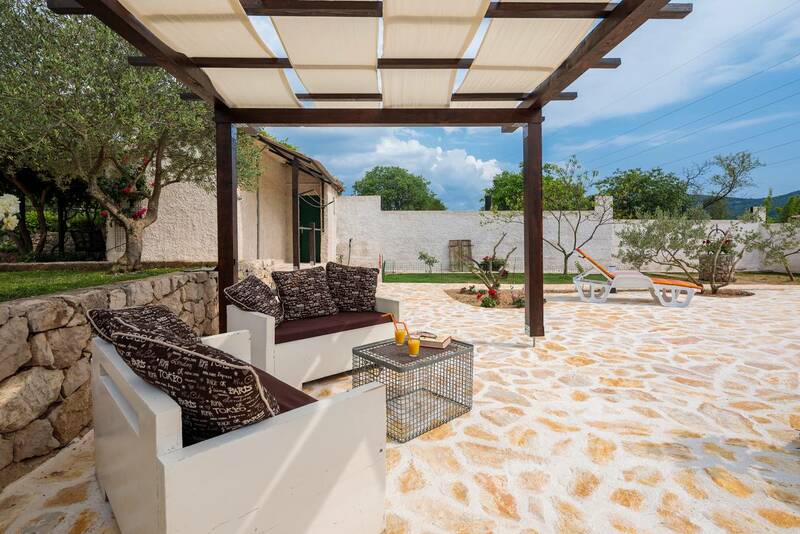 A peaceful retreat to relax and enjoy! 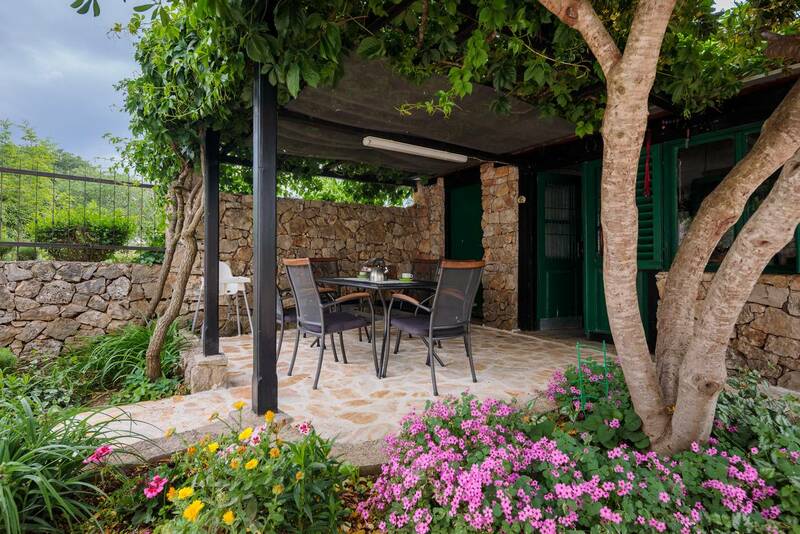 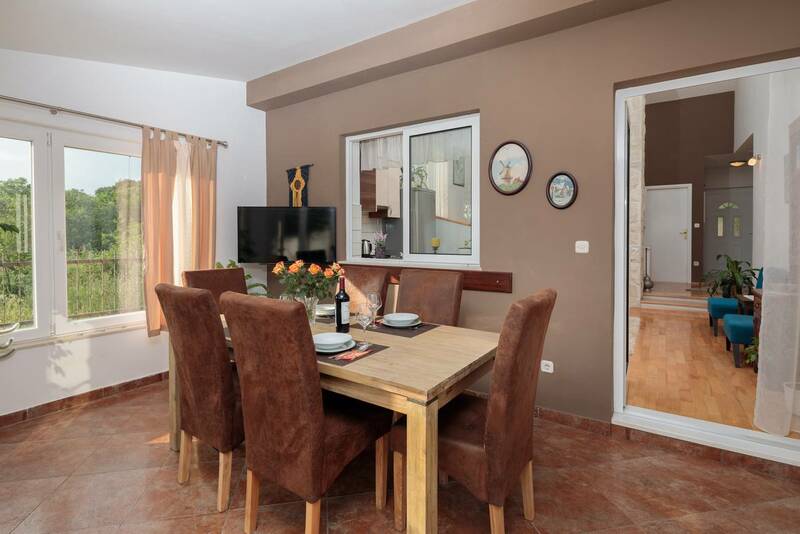 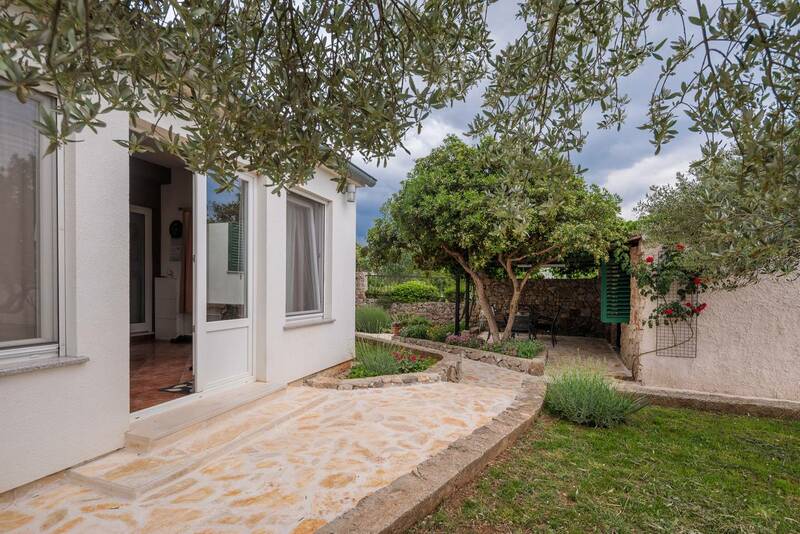 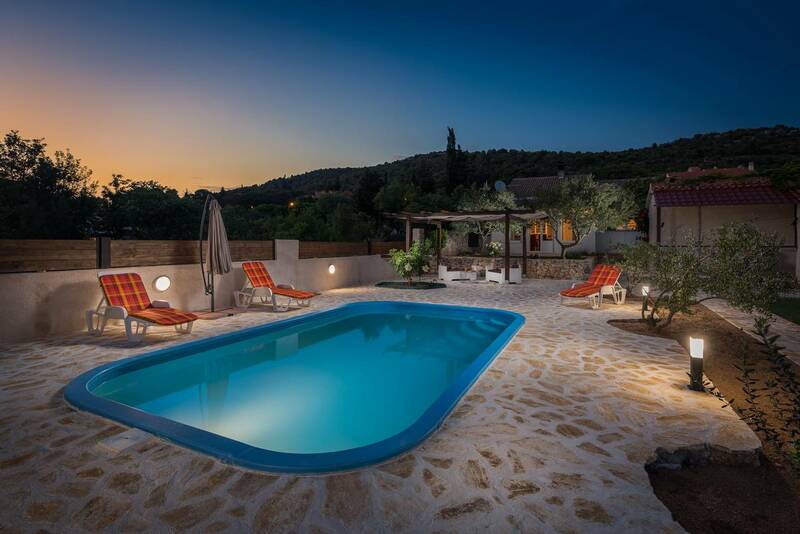 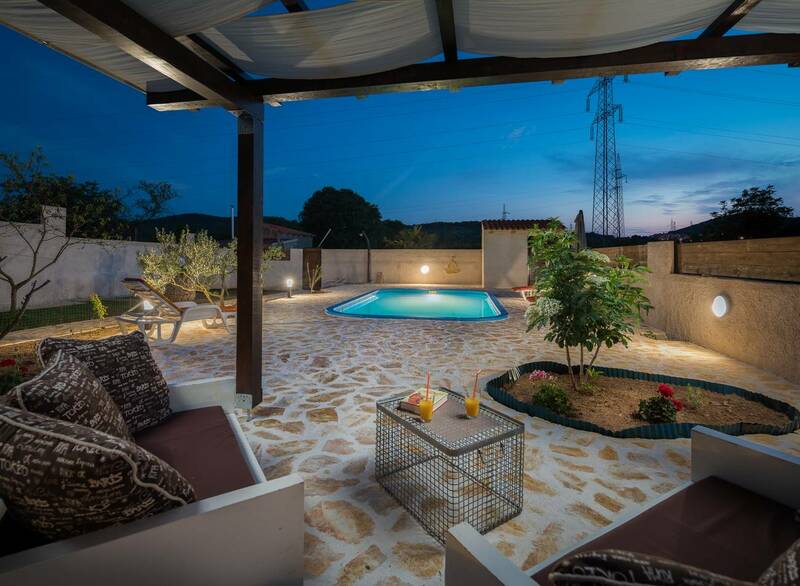 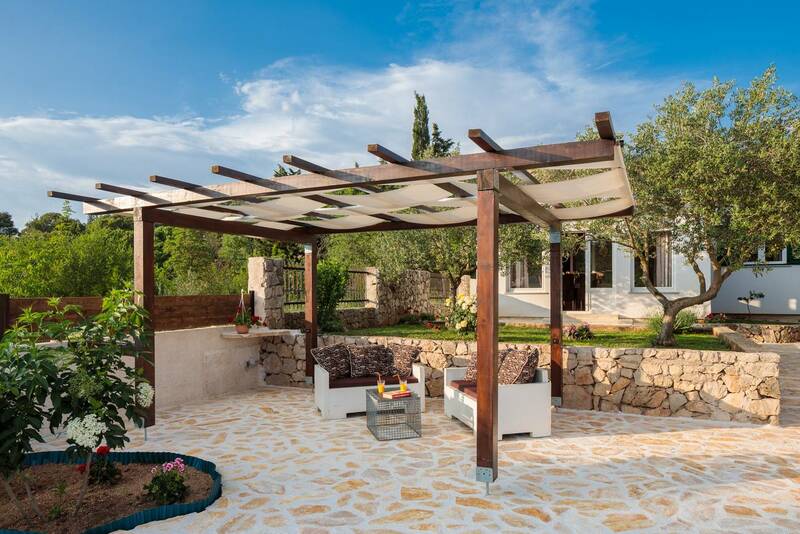 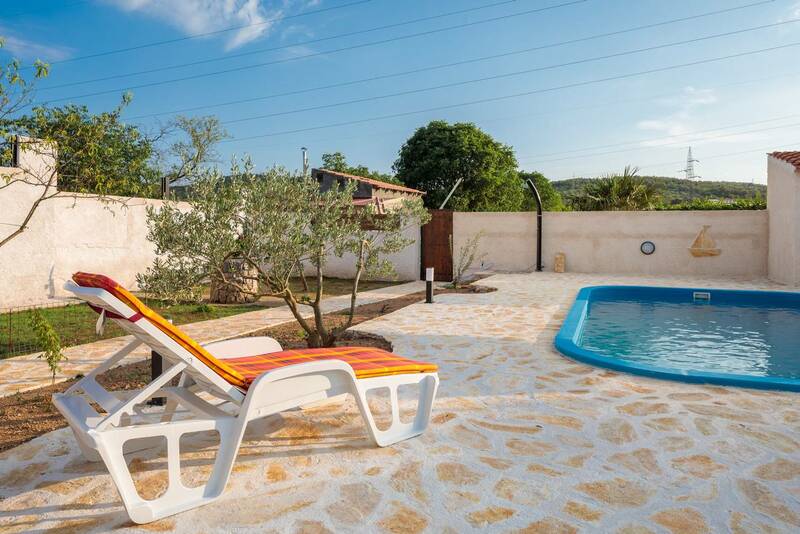 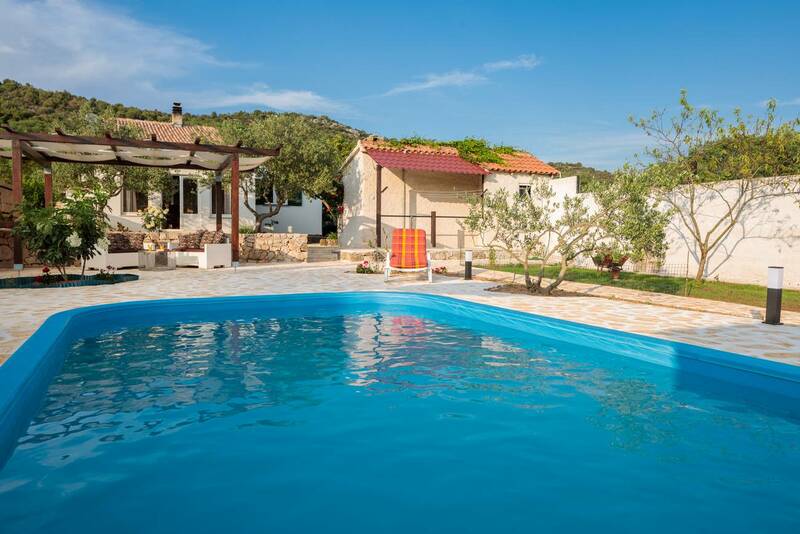 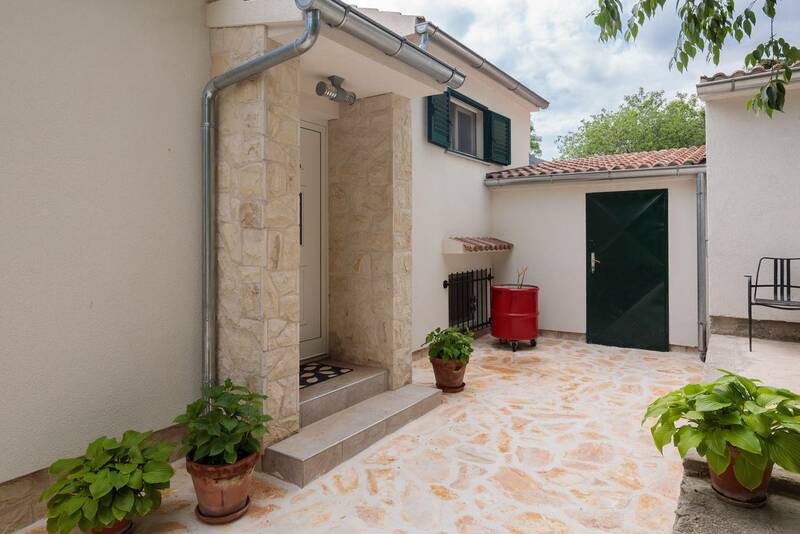 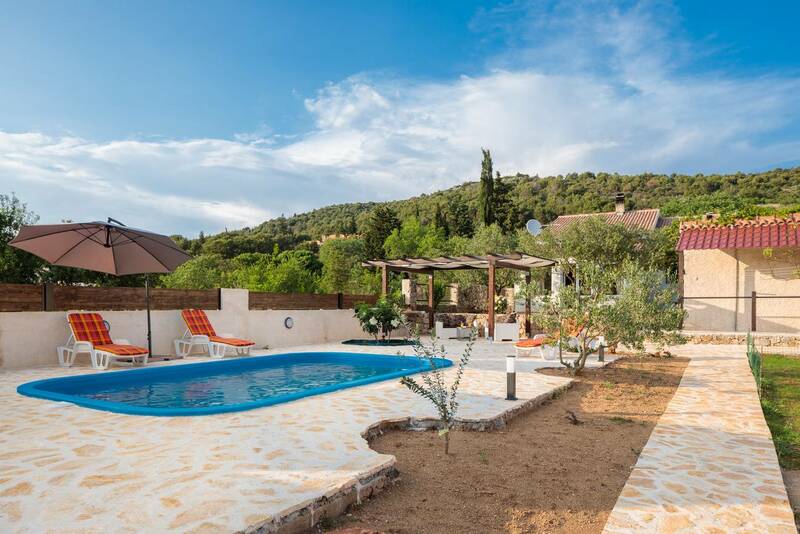 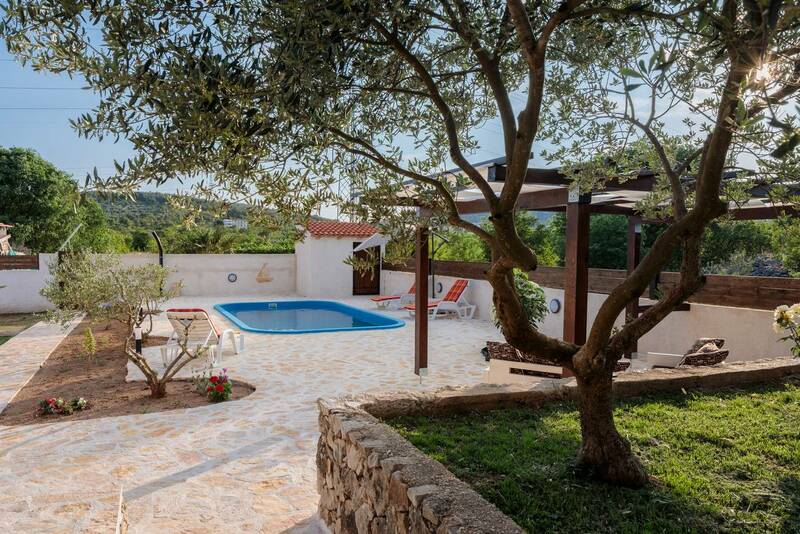 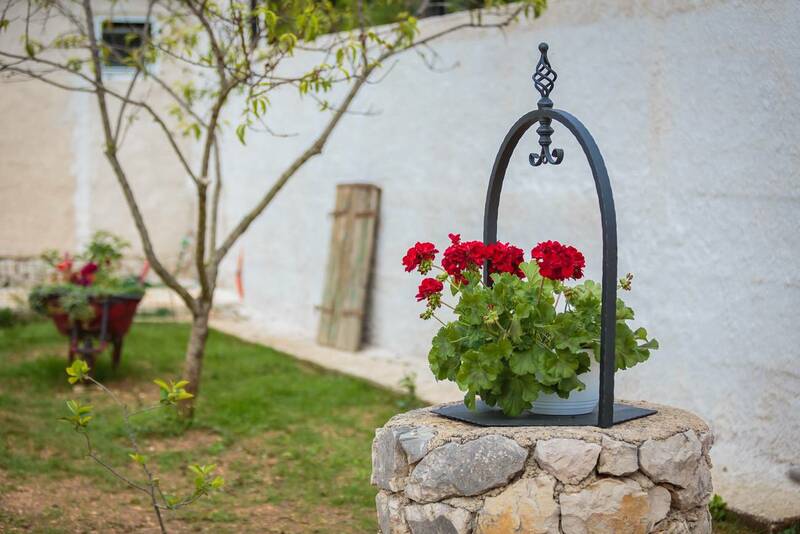 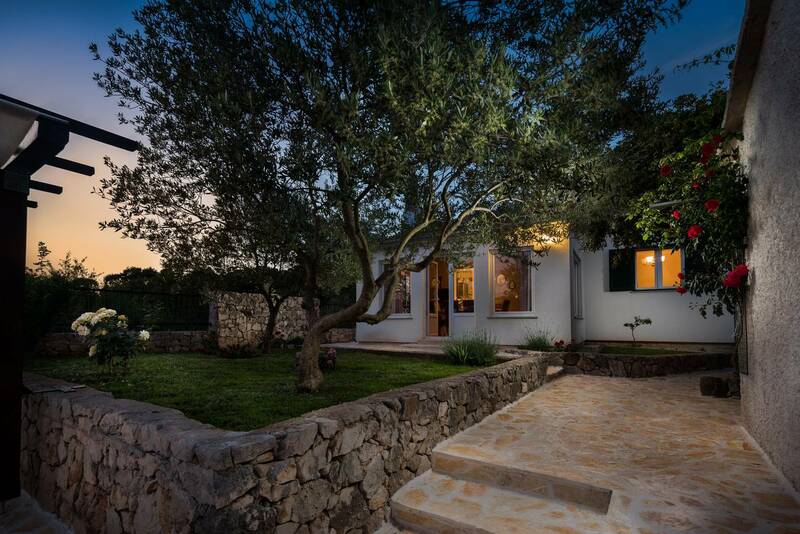 Set near the historical city of Šibenik, villa Star is an idyllic family villa that provides a great location for those who wish to enjoy peaceful and amazing surroundings in Šibenik area. 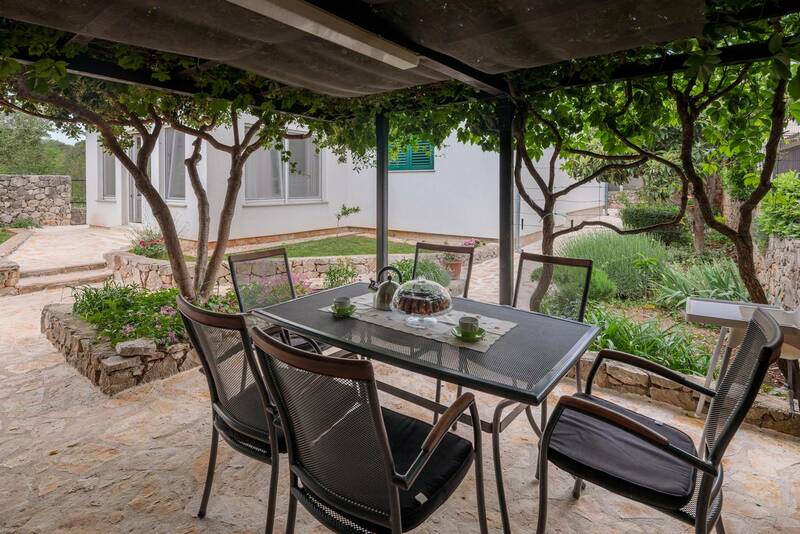 Only a 10-minute-drive away from the old town of Šibenik you can experience the history and culture of the stunning city and enjoy the villa's swimming pool, terrace and garden with Mediterranean herbs. 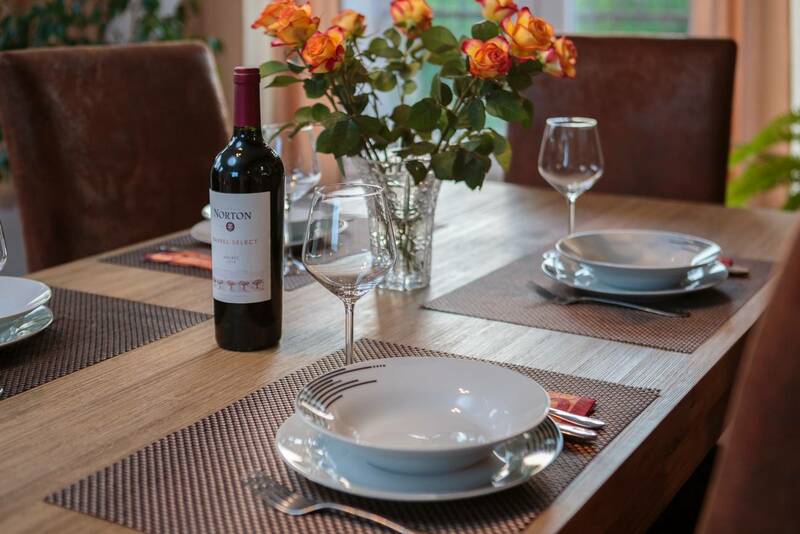 Suitable for six guests, Villa Star offers the perfect balance of the indoor and outdoor living. 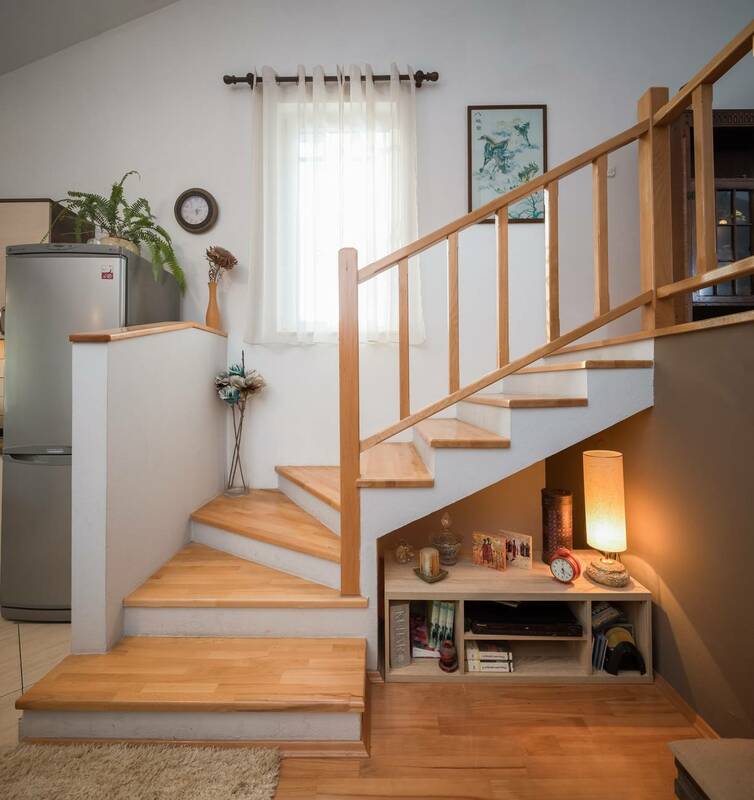 The whole interior splits over the ground floor. 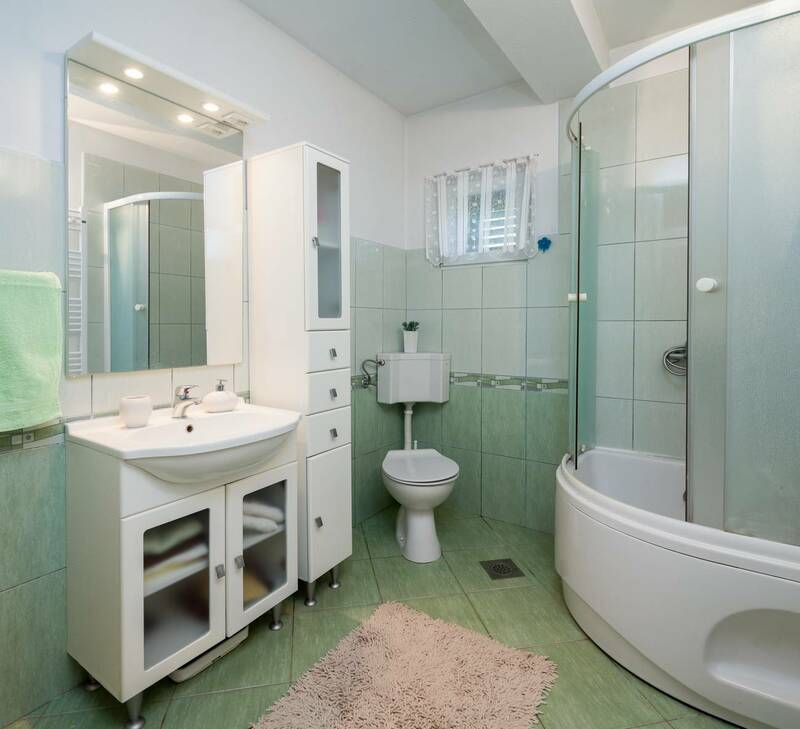 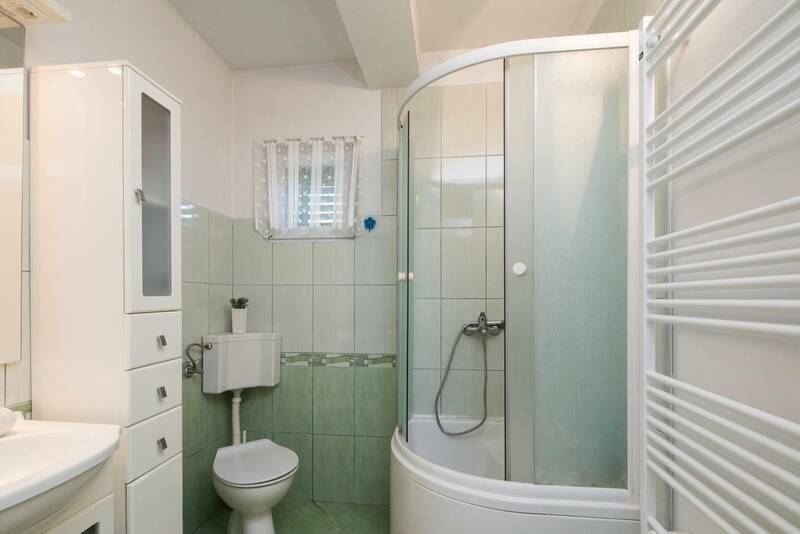 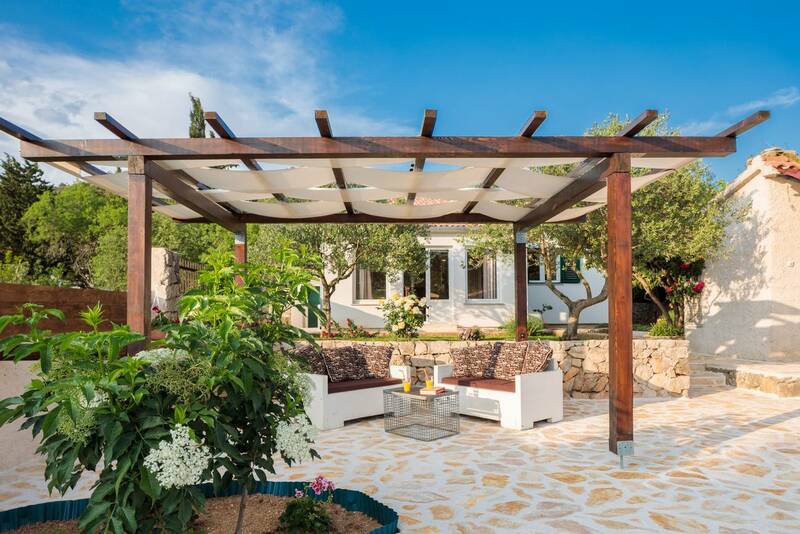 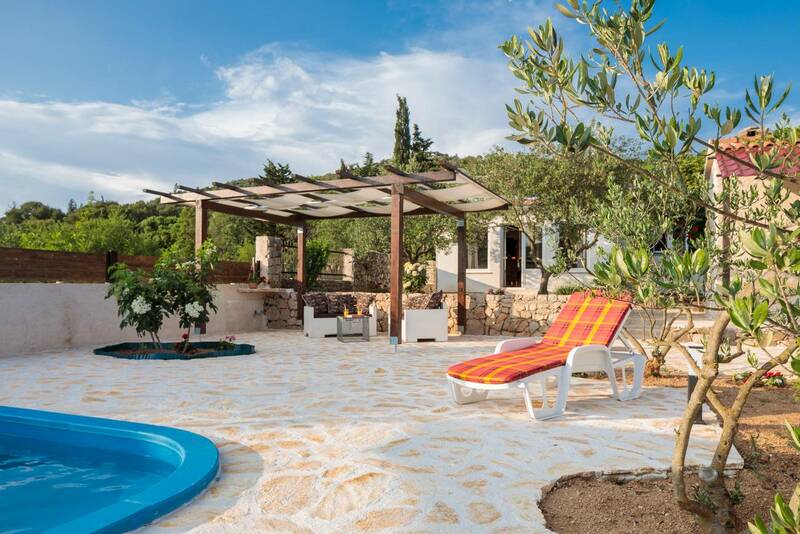 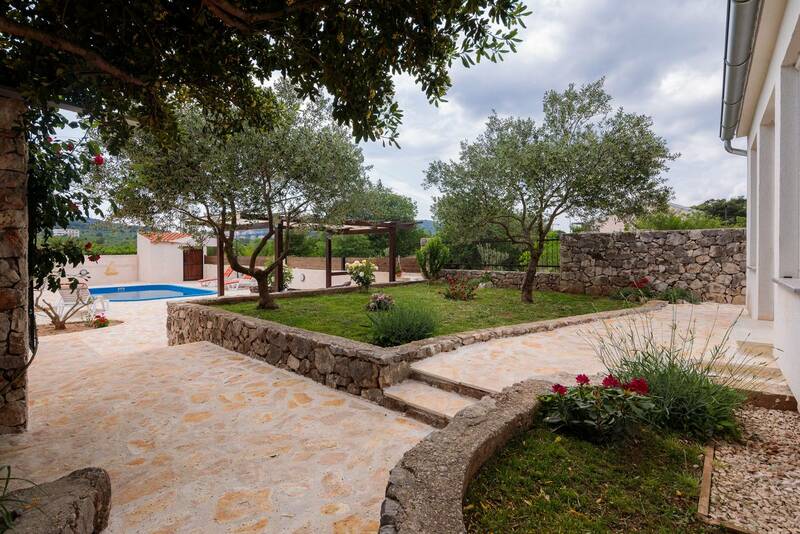 This lovely villa consists of two double bedrooms and one bathroom. 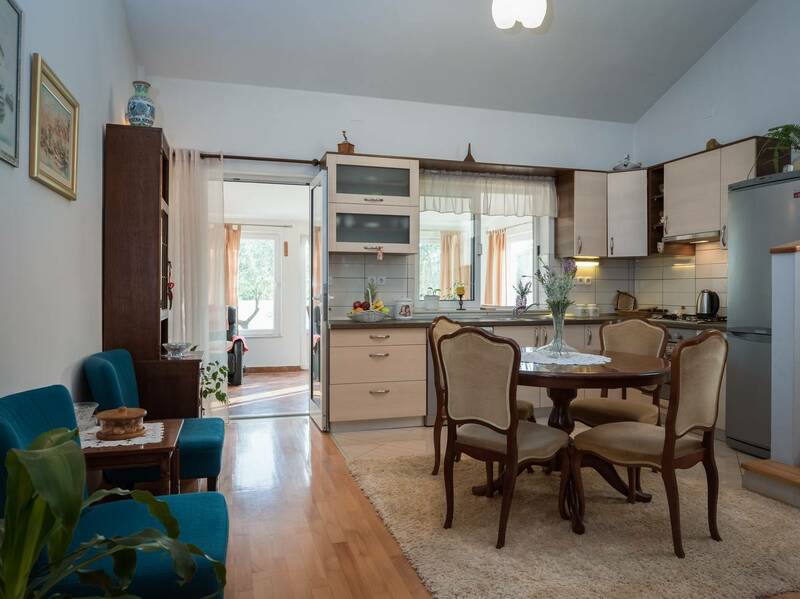 There is an open, fully equipped kitchen with dining room and comfortable living area few steps up which has one sofa bed for two guests. 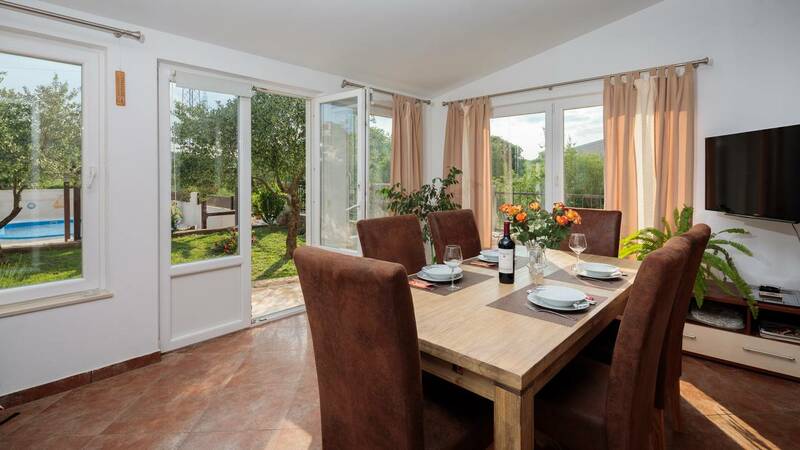 The second dining room is on the veranda and it's bright and airy with a large glass door giving access to the terrace, and it's ideal for moving between the inside and outside space. 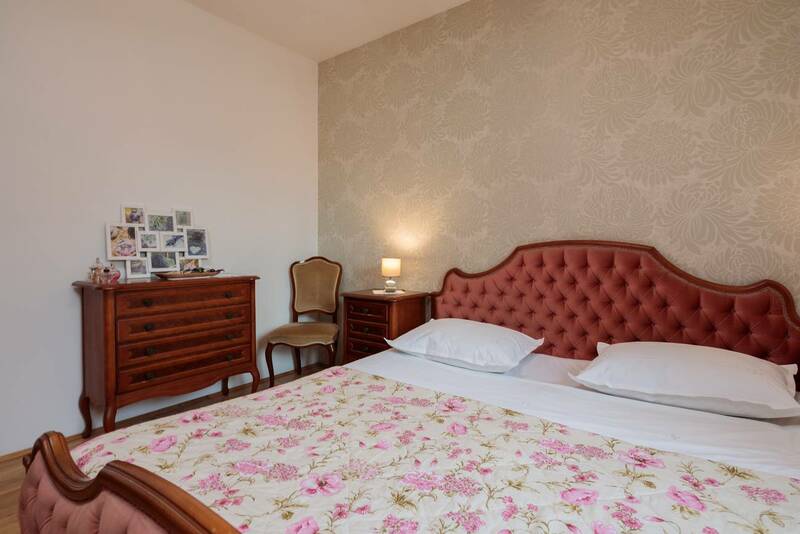 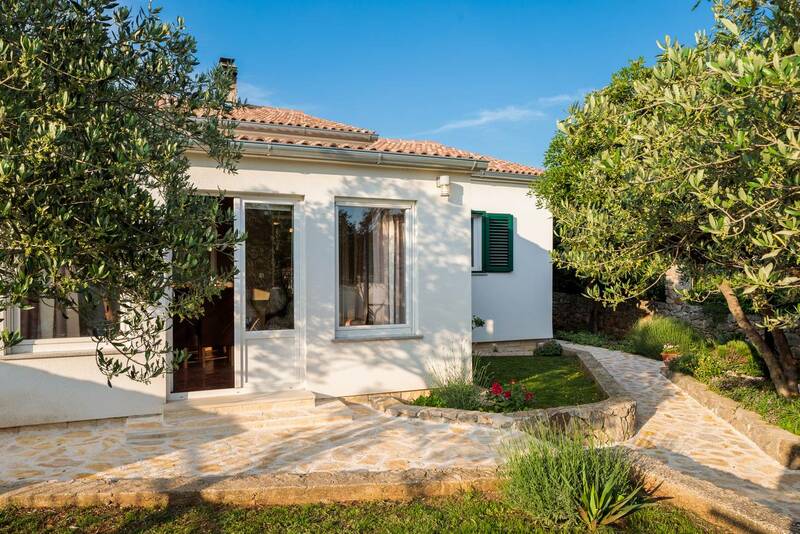 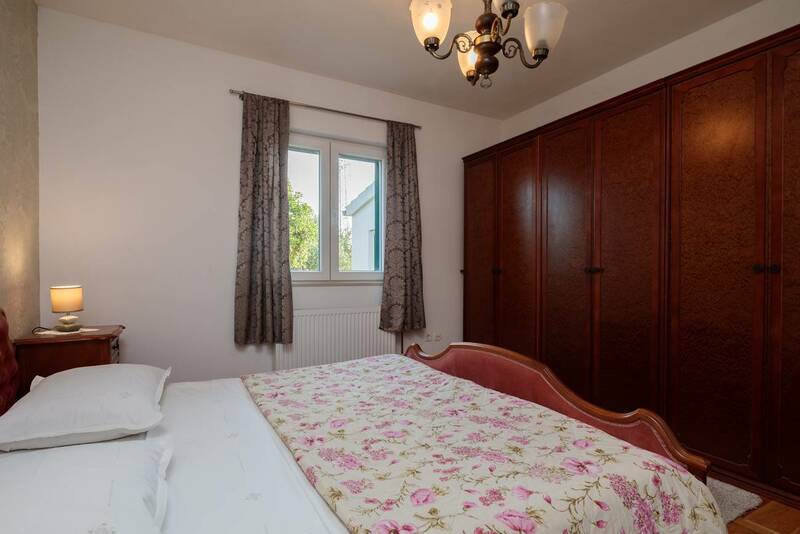 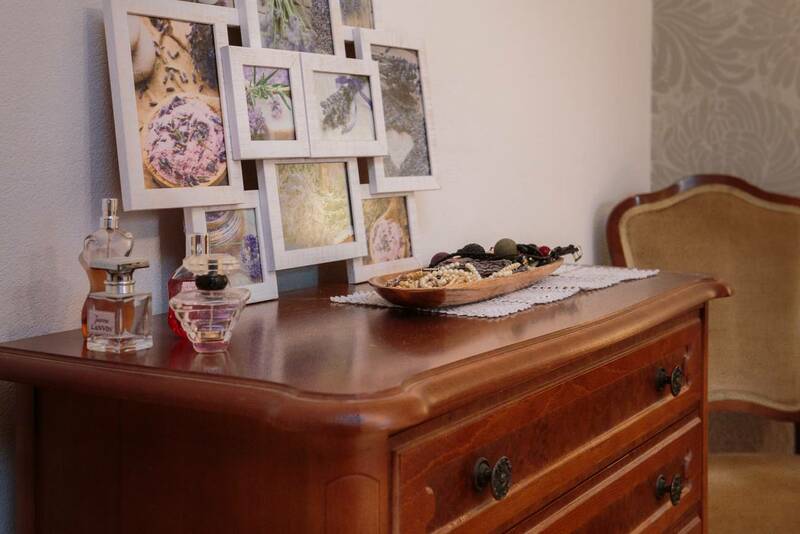 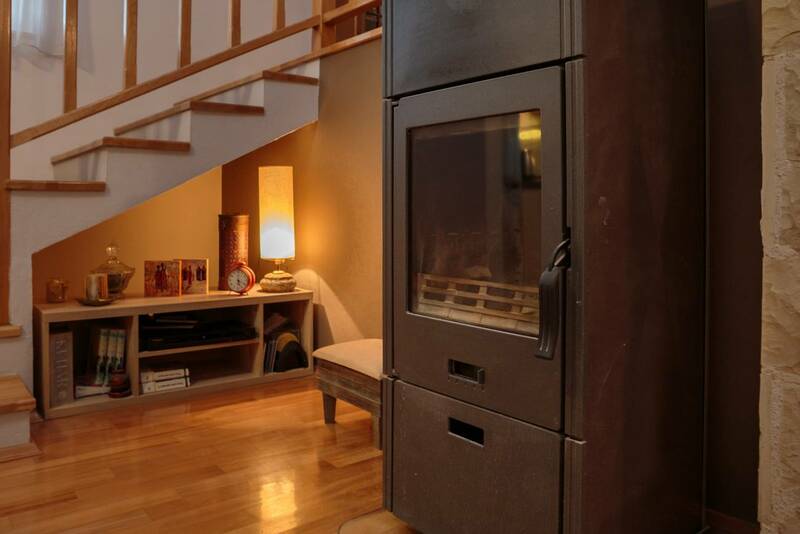 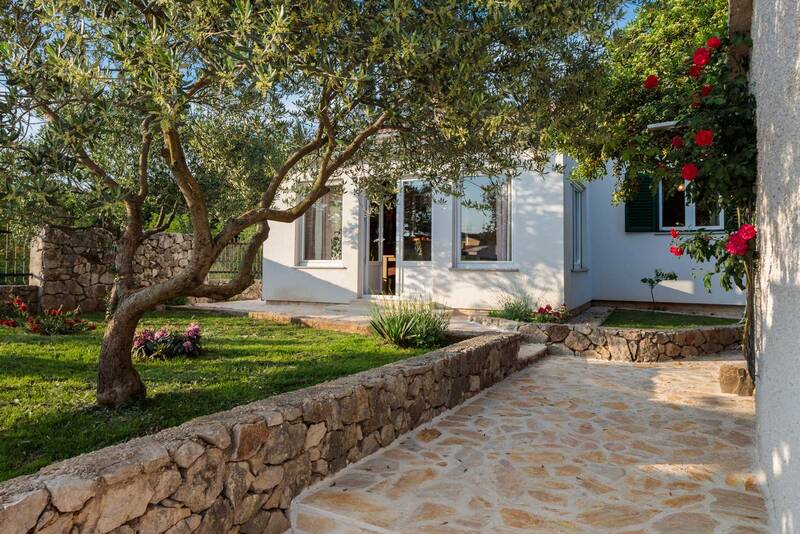 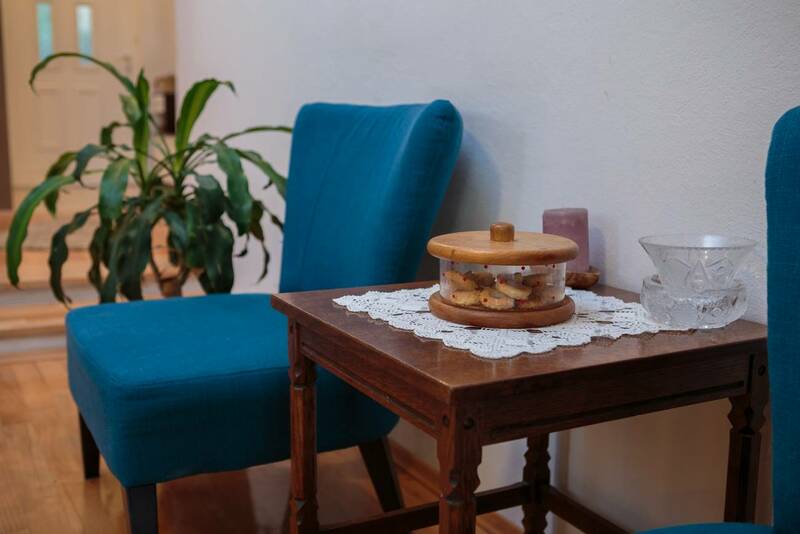 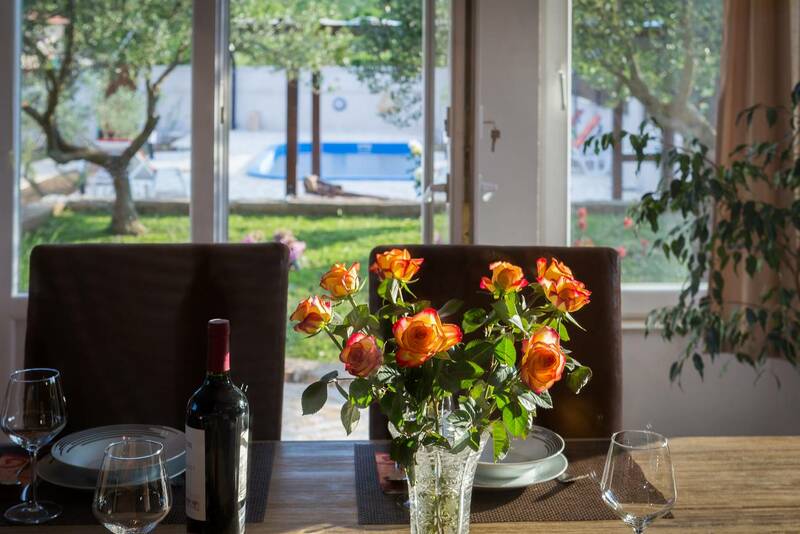 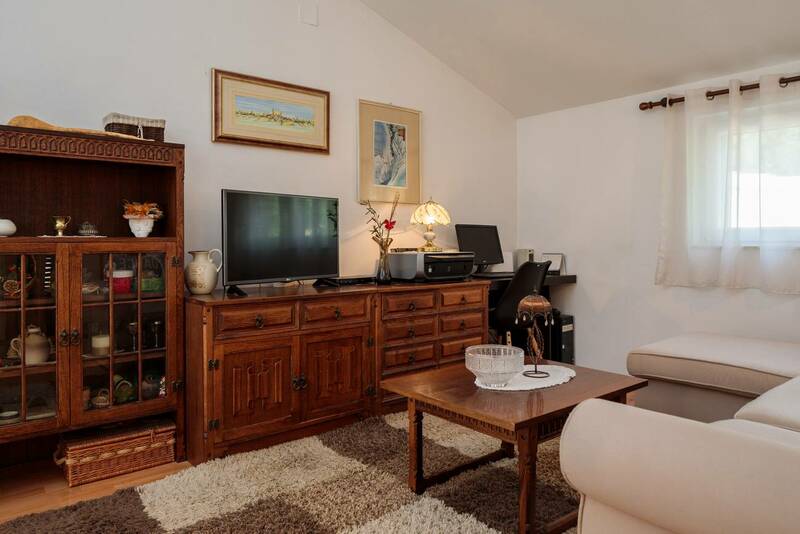 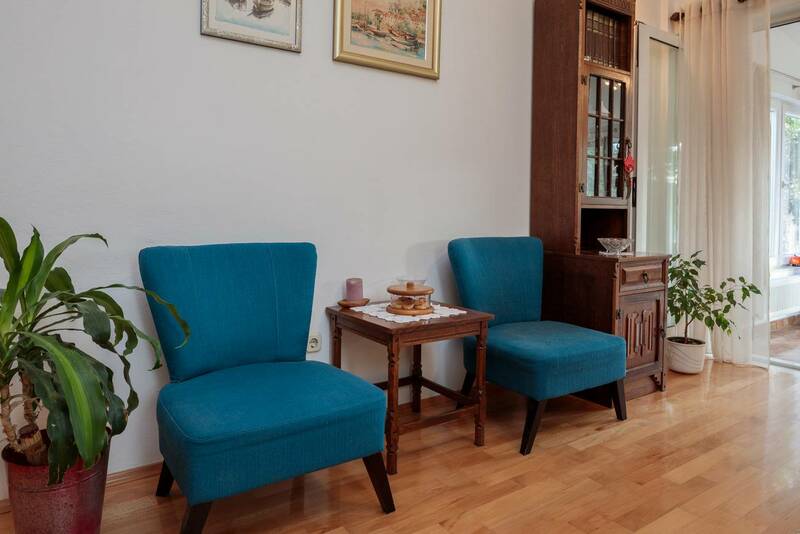 This charming villa offers cosy family living throughout with a relaxed and calm atmosphere in every room. 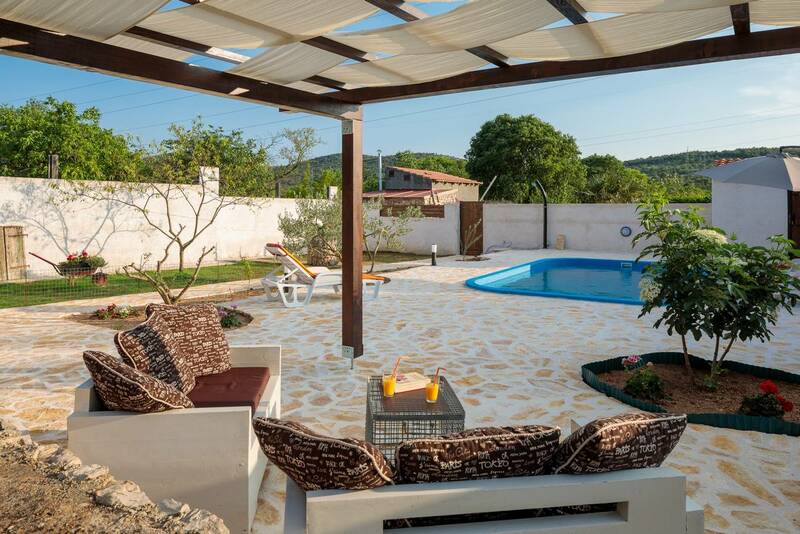 With all the living space on one floor, Villa Star is great for families who enjoy sociable living. The outside area provides peace and quiet away from the rush and the crowd. 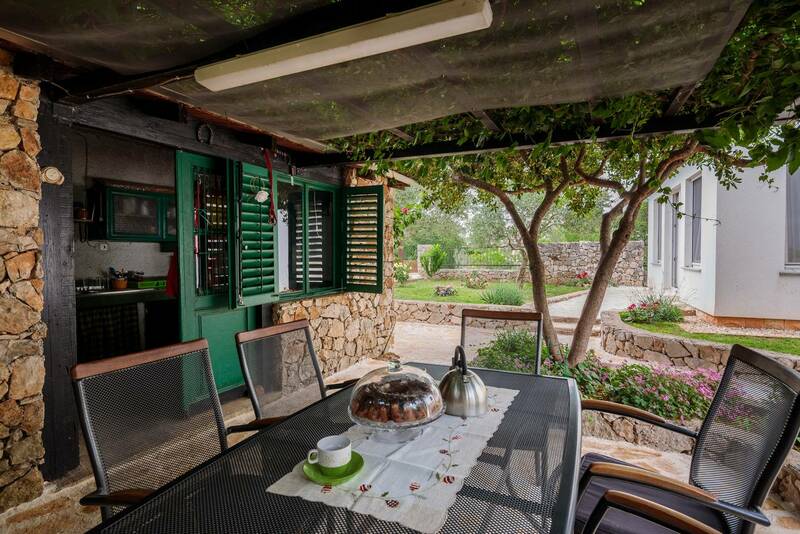 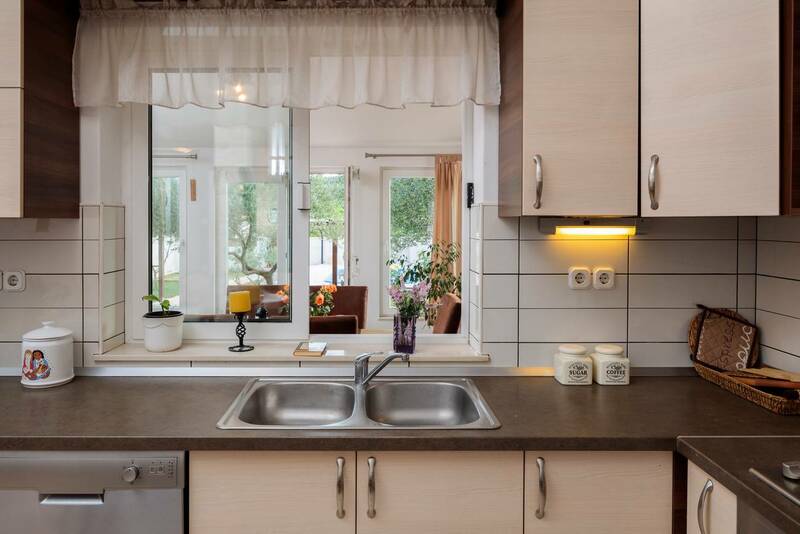 The outdoor kitchen with seating area and dining table stretching out in front of the house are an ideal place to enjoy a glass of wine in the late afternoon sun or the morning coffee at the fresh air! 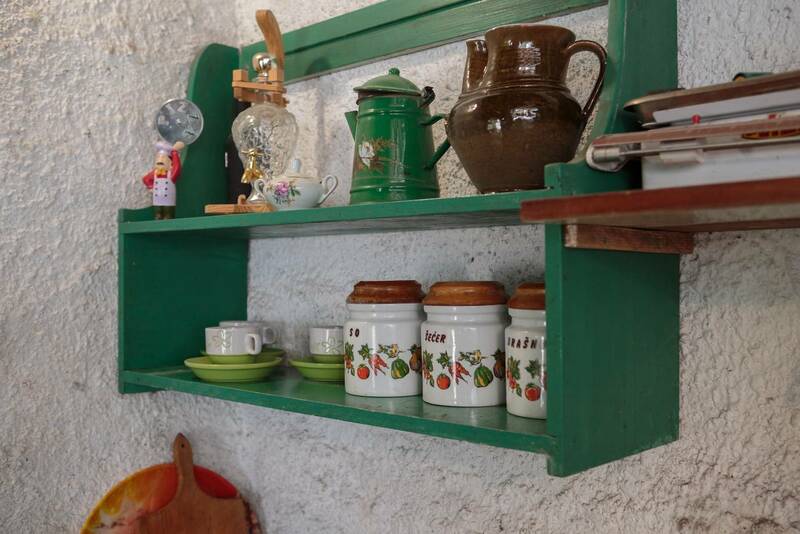 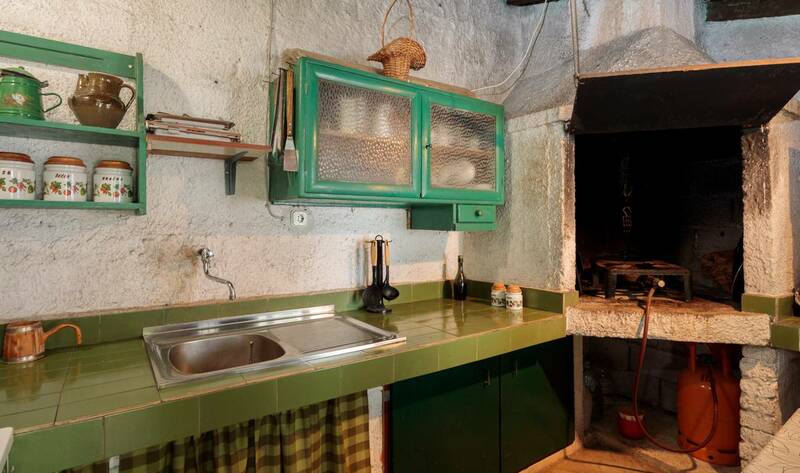 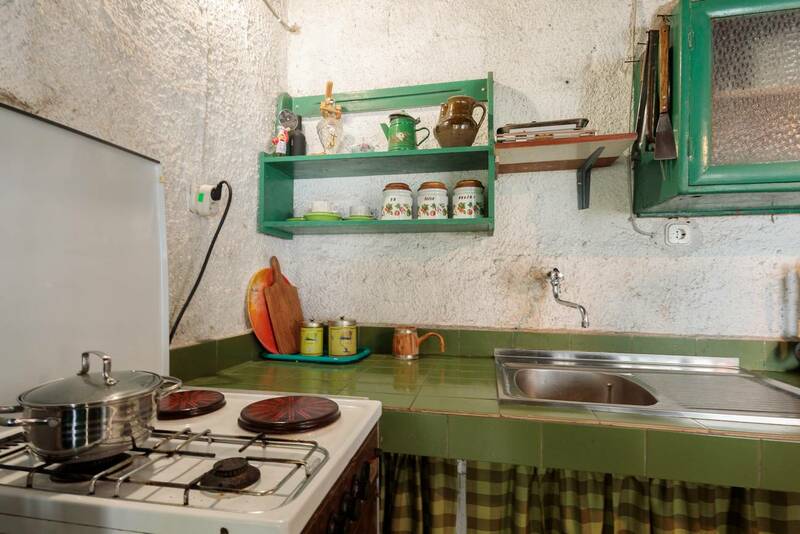 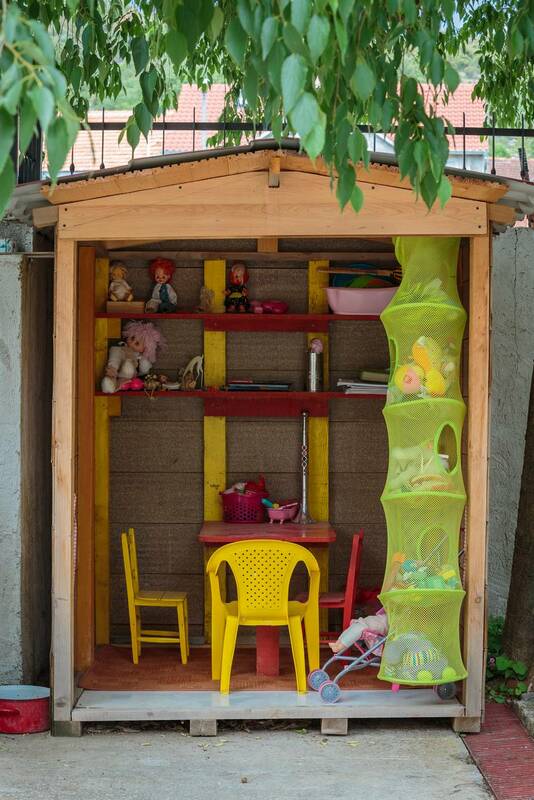 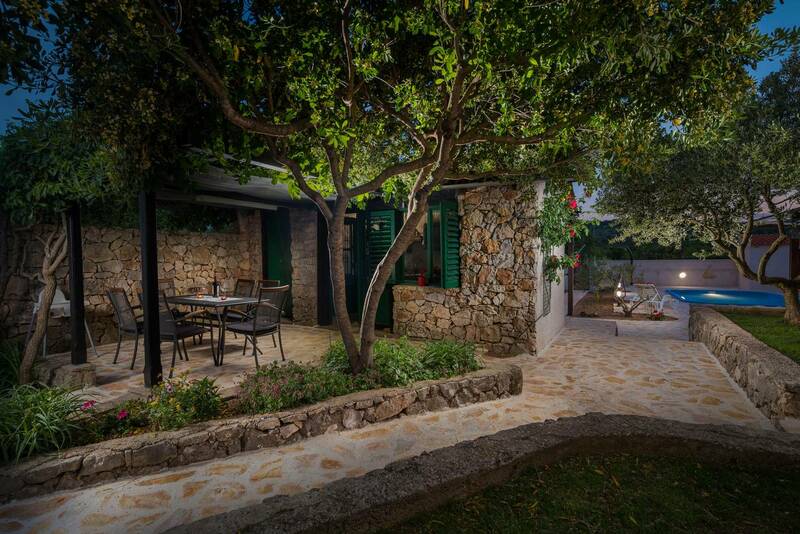 If guests want to cook Dalmatian delicacies, they can prepare them in natural shade with great pleasure. 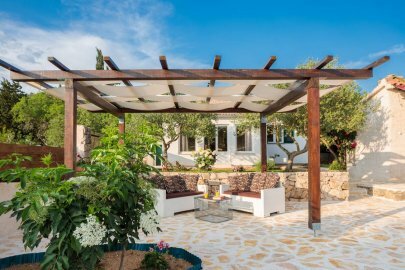 In the garden there is a private swimming pool surrounded by flowers as well as a couple of sun loungers where guests can enjoy the warmth of the day. 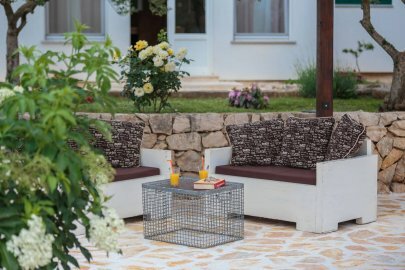 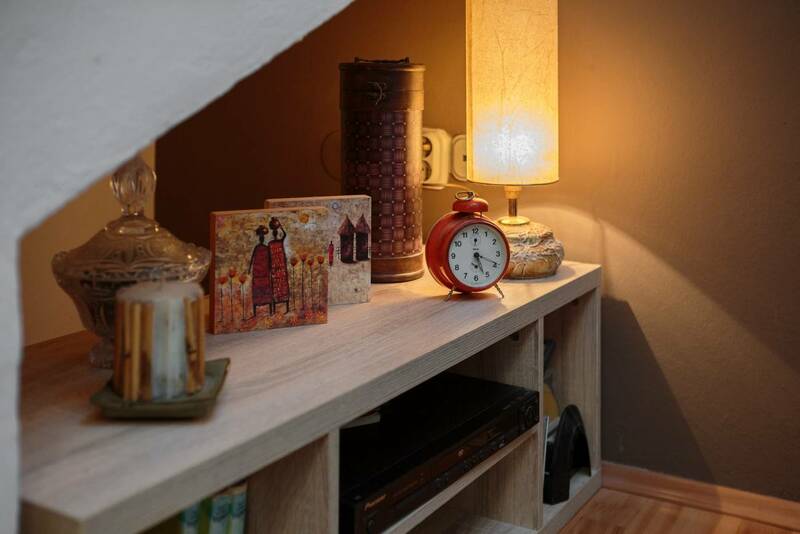 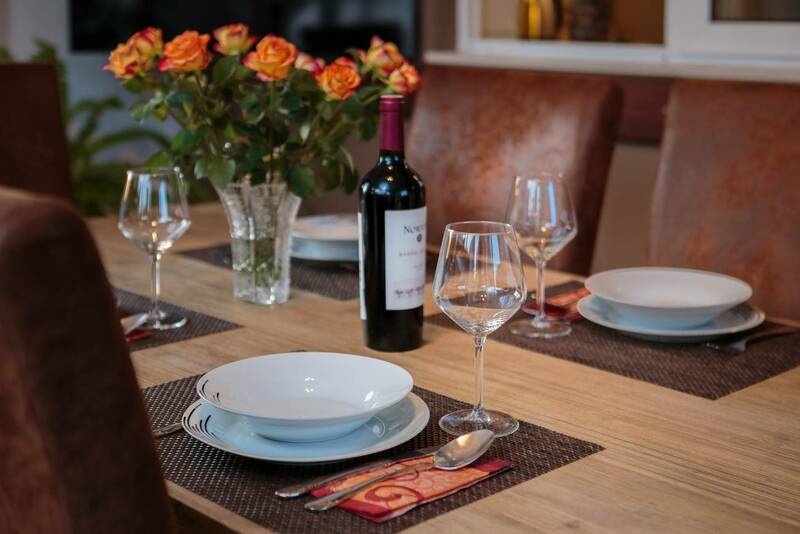 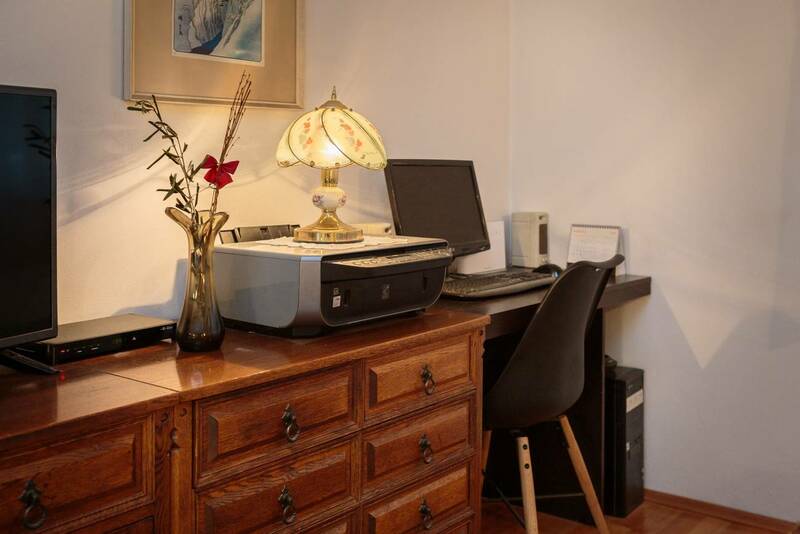 There they can take some time for themselves, read their favourite book or enjoy the beautiful surroundings and romantic moments in this charming villa. 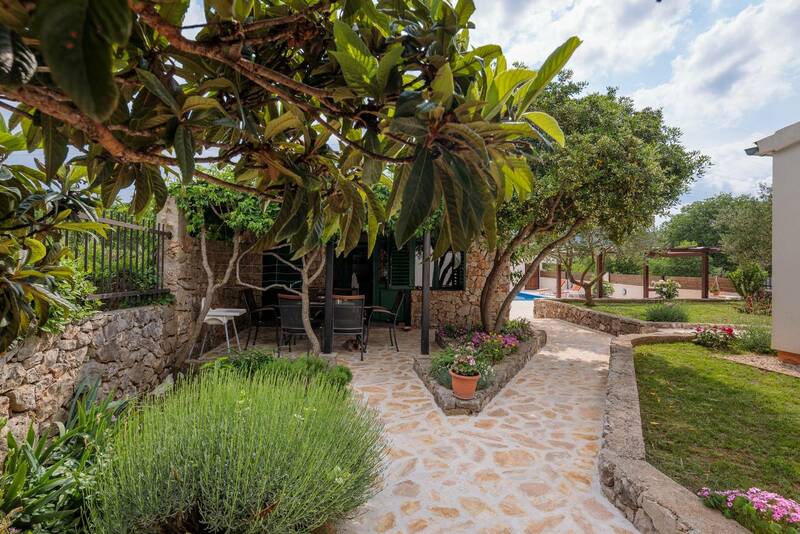 Beautiful Mediterranean plants stretch between the pool and the main entrance; elegant plants, fruit trees and flowers surround the fully fenced yard. 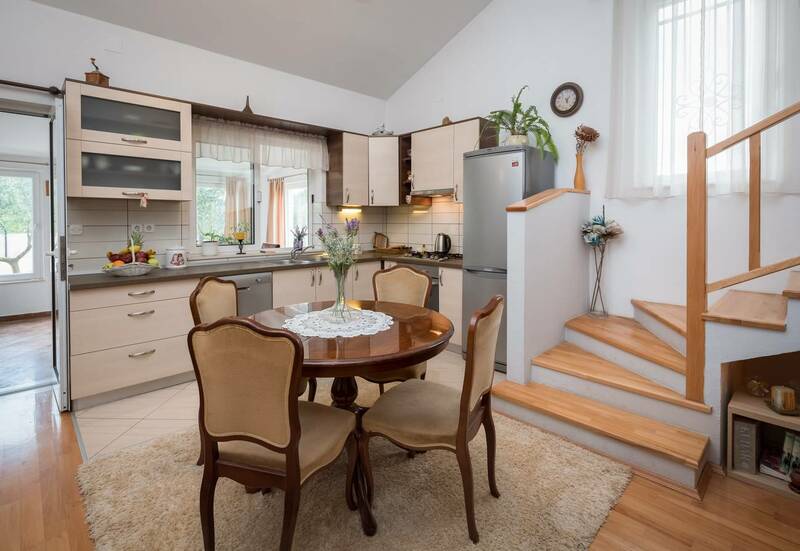 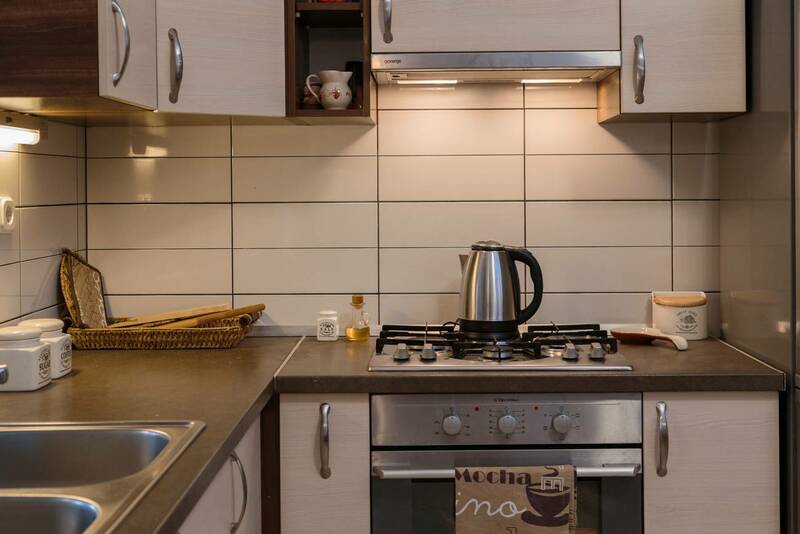 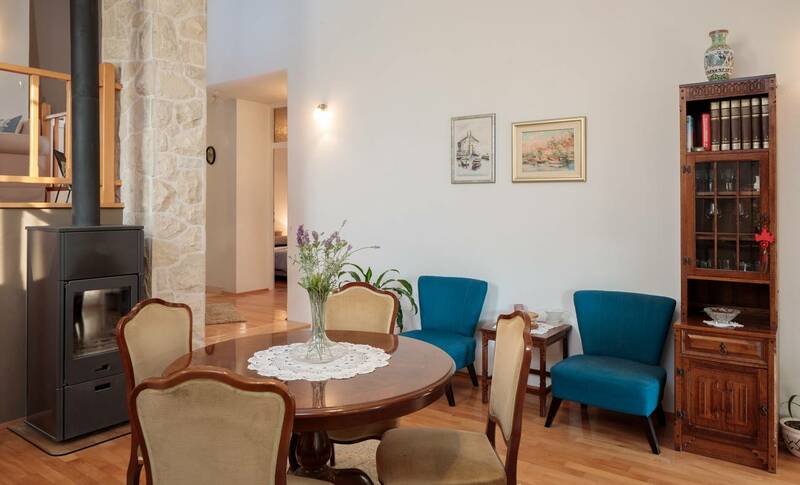 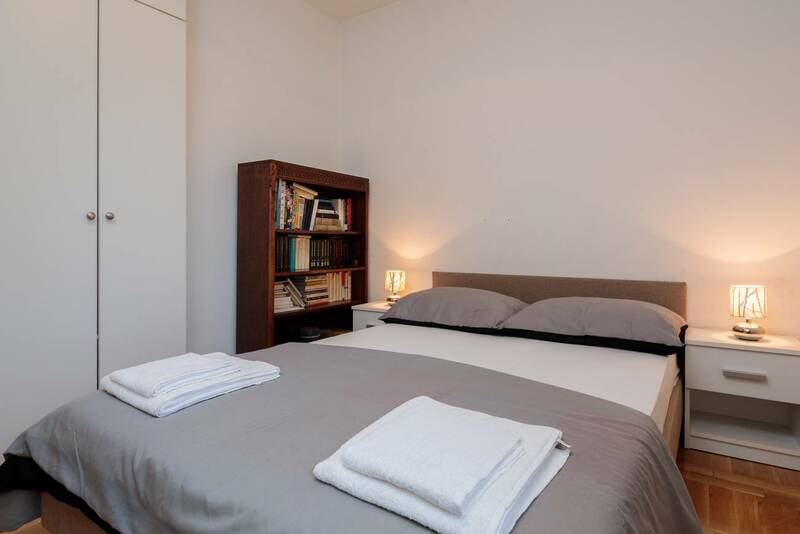 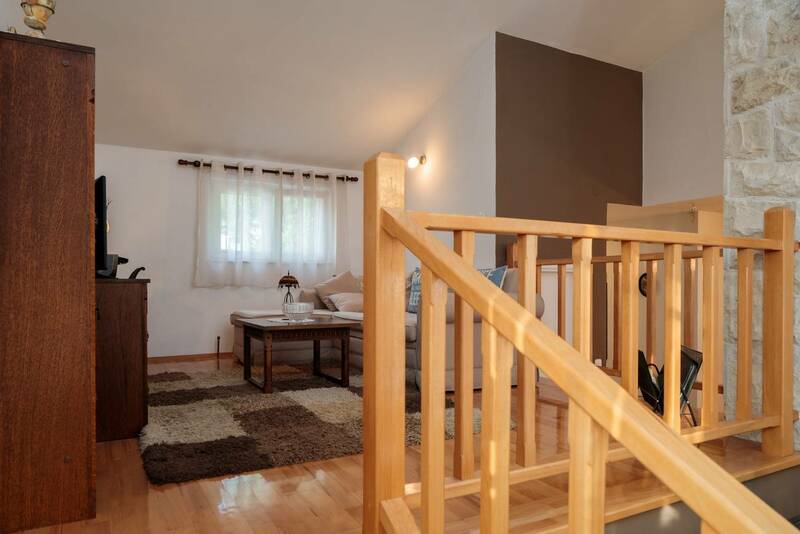 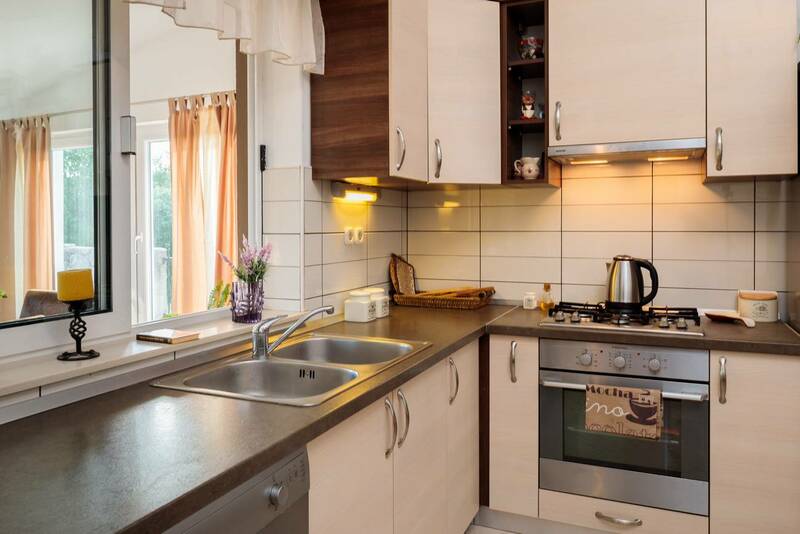 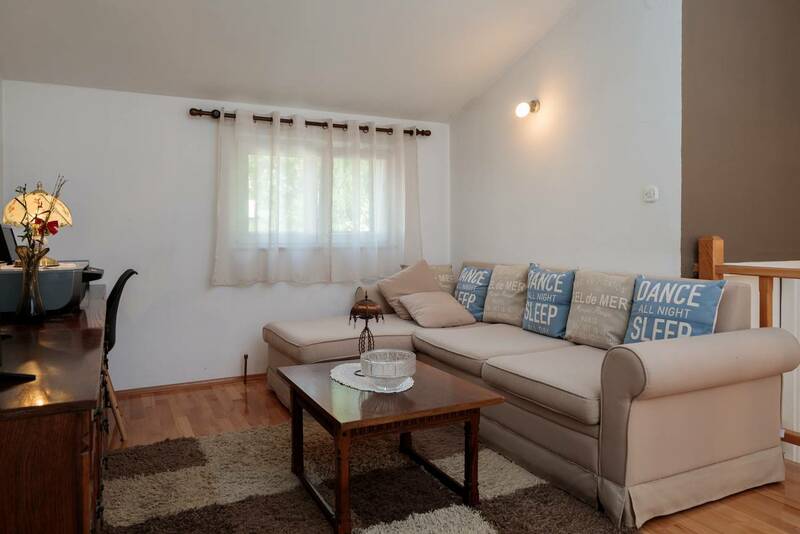 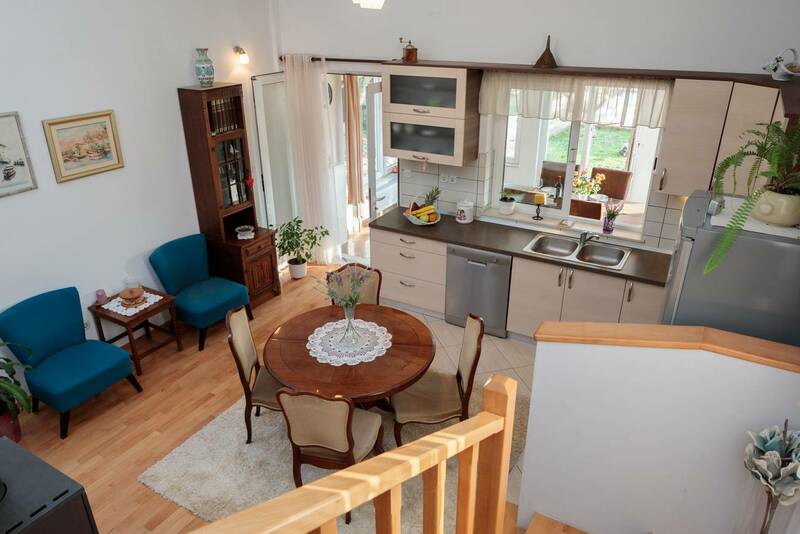 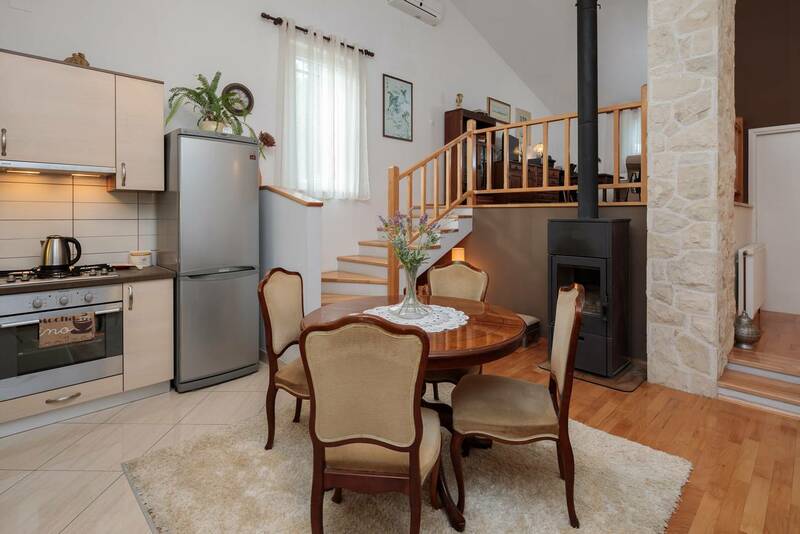 If you would like to visit a lot of famous landmarks in Dalmatia, like the Krka and Kornati national parks or the historical cities of Šibenik and Skradin, then villa Star is the perfect place for you. 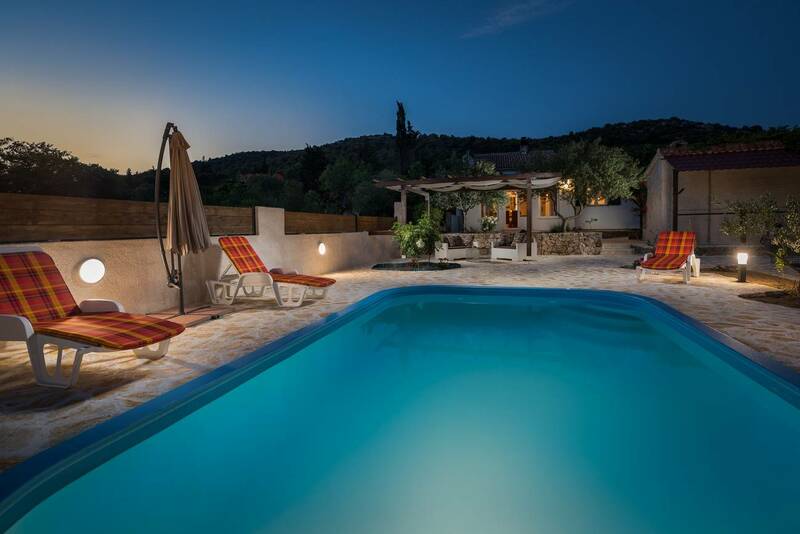 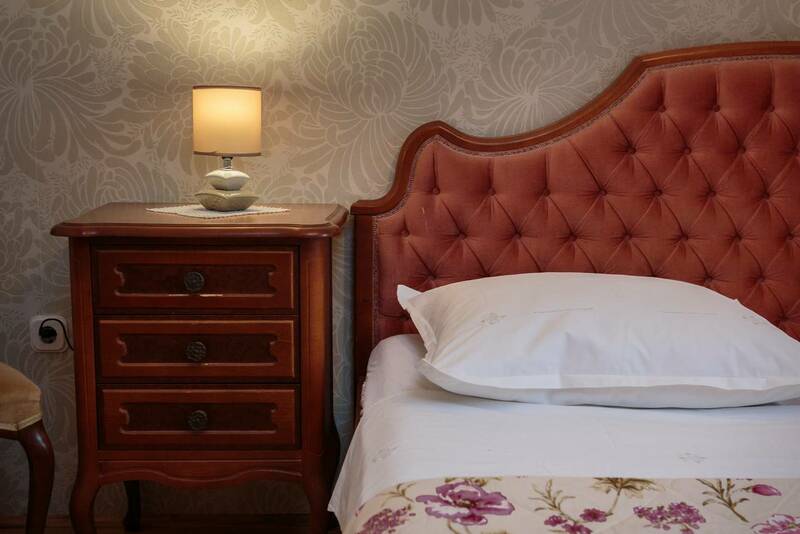 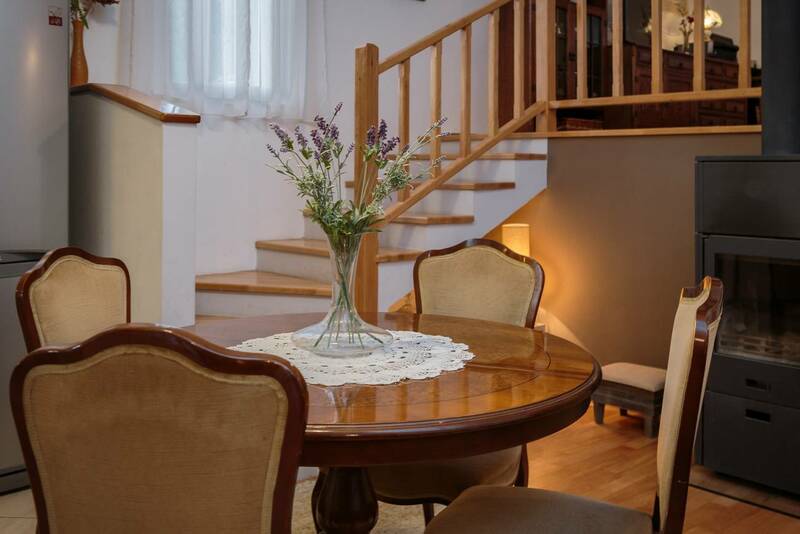 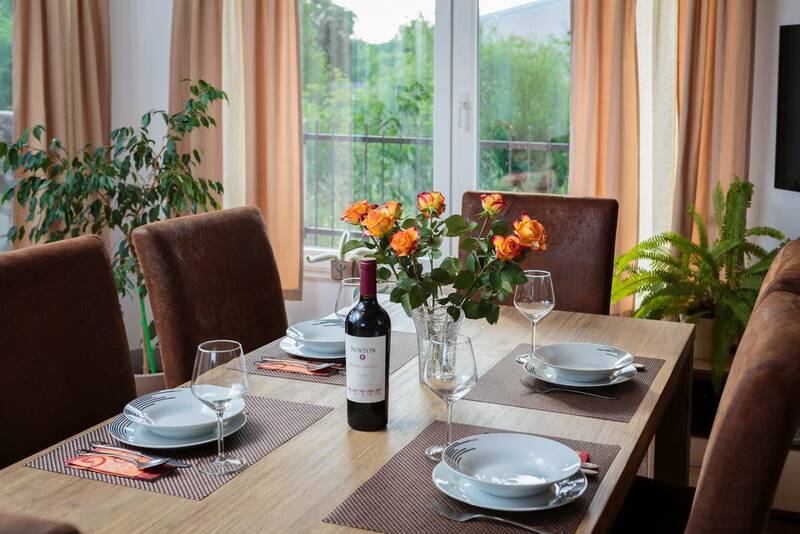 Make the elegant villa Star your next getaway spot in Dalmatia!